If you're planning your holidays already we have a fab offer for you on beach towels so you can tick those of your list. Shop Disney have a multibuy offer on Disney beach towels with 1 for £15, 2 for £25 or 3 for £30, so you can save up to a third. There's a great selection with something for everyone, and these are designs that you'll not see anywhere else so you can spot your towel quickly on the beach or sun loungers. 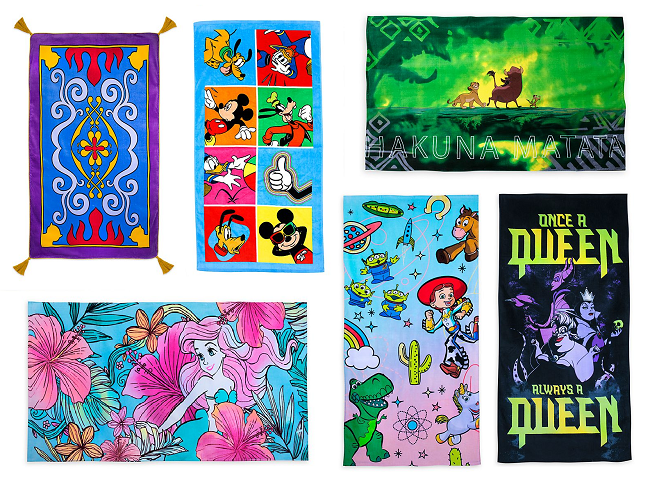 There's seventeen designs at the moment, with new ones just added including Stitch, Buzz Lightyear, plus Lion King, Disney Villains, Toy Story, Marvel, The Little Mermaid and more to choose from. There was a wonderful Aladdin design that looks like the Magic Carpet, but that's out o stock online at the moment, so we have our fingers crossed that one comes back soon. The multibuy offer is applied automatically at the checkout with no code needed, and it runs for a limited time and while stocks last. It's like the day of Disney themed must buys for you! i need the queen one! !